It’s the kind of nightmare that keeps a business owner up at night: it’s just another day in the greenhouses with your staff when suddenly, your nose catches a whiff of something burning. You begin to hear the fast-approaching crackle of a fire, and you run as the flames consume the infrastructure you’ve built, along with the cannabis plants inside. That is exactly what happened in Greenfield, California, in July 2018 at Loudpack Farms — all from a simple employee mistake. While there are many safety precautions that can be taken, not every accident or mishap can be prevented. That is why cannabis insurance is an important asset. When these kinds of tragedies strike, you want to be able to rebuild what you’ve worked so hard to create. What caused the fire? 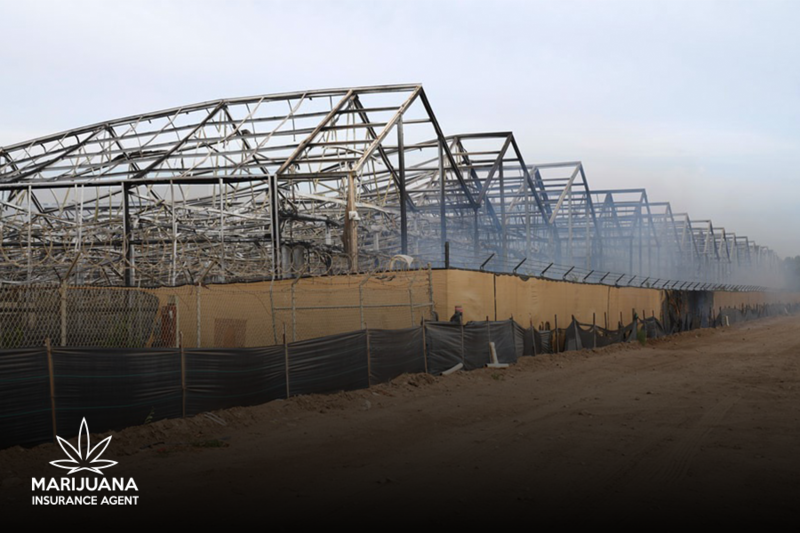 After fire investigators reviewed the site, they concluded that an employee improperly put out a tobacco cigarette while smoking between two of the greenhouses. All the employees escaped uninjured, but the business did not go unscathed. The fire caused an estimated $15 million in damages to the cannabis business. Loudpack Farms had taken prudent steps to prevent such incidents, including the adoption of a no-smoking policy for its employees, but this was unable to prevent the tragic loss of crop. The blaze caused an estimated $15 million in damages. 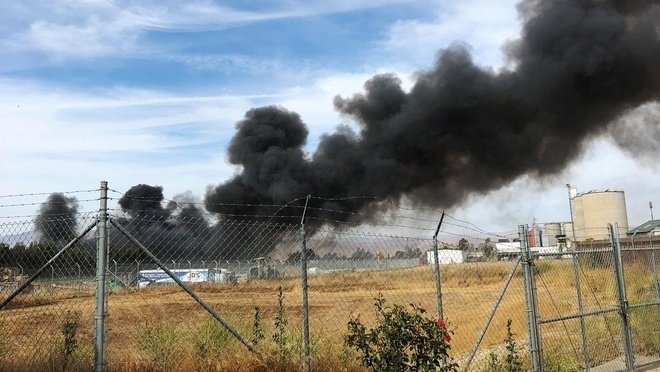 Loudpack Farms has several greenhouses in their large medical cannabis facility for farming and manufacturing, and their leadership team immediately began planning to rebuild once the flames were out. And that’s good news for their community. The City of Greenfield has about 17,500 people, and Loudpack Farms is the city’s largest employer with over 100 employees. If this cannabis business had been unable to rebuild, it would have had a significant negative impact on their city. There would have been over 100 lost jobs and thousands of dollars in potential tax revenue lost. Thankfully, they are able to get back on track. That is the kind of support that growers’ insurance provides when your business experiences a fire, natural hazard, technical malfunction, or criminal activity. You can’t predict and prevent every potential hazard, but you can get cannabis cultivation insurance and business insurance. A good insurance policy can protect both your business and your peace of mind. When disaster strikes, rebuilding needs to happen fast. Loudpack Farms’ management seems to understand that, as they were quick to tell the press that they are rebuilding. The longer a business takes to get back in front of their buyers, the more customers are lost. Even highly loyal fan bases might move on if you can’t carry on with business for an extended period of time. Cannabis has long been a high-risk business, but it doesn’t have to stay that way. This recent shift in how cannabis is handled and discussed on a national level means that, now, you don’t have to navigate all the risks alone. You have options when you choose the right insurance policy that will meet your needs and help your business when you need it the most.